Air Force JROTC » Cadets Win FHS November Students of the Month Awards! 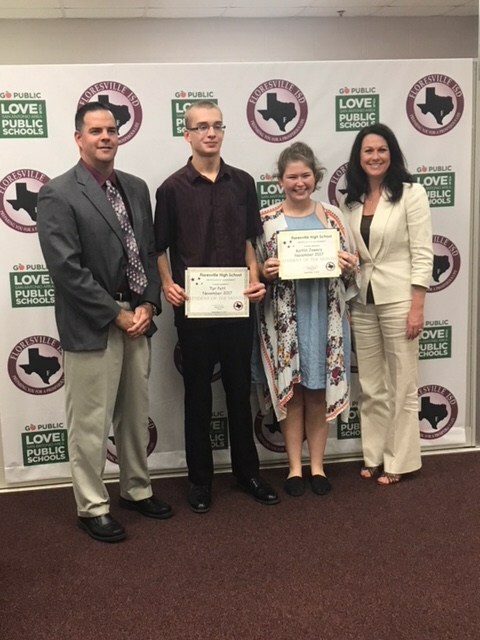 Cadets Kaitlin Jowers and Tyr Pett won FHS Students of the Month for November! It is the first time ever in the history of TX-20012 ROTC that two cadets won the award in the same month! Congratulations Cadets Jowers and Pett!